2017 Buffalo Marathon with a Jeff Galloway encounter! Have you or are you thinking about running the Buffalo Marathon? From what Jackey says, it’s an amazing race and one I’d certainly love to try in the future. 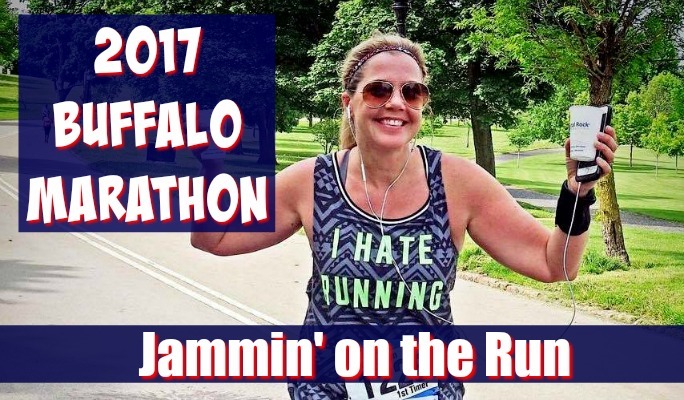 In our latest Jammin’ on the Run chat over at YouTube, we chat about the 2017 Buffalo Marathon, including Jackey’s several encounters with Olympic runner, Jeff Galloway on the course and her first time trying a 15/15 split interval. Enjoy and if you were at the race, congrats! Be sure to leave your thoughts in the comments below as well as any questions you might have.